The needs of the elite are extraordinary… and Yacht Help Fiji provides clients with expert advice, innovative solutions, outstanding execution and comprehensive access to the finest things the world has to offer. Whether our clients require foods and supplies of distinction, specialised entertainment options, custom charted adventures, consummate performance of repairs and maintenance or one-of-a-kind special requests for your superlative ocean vessel and destinations, we have the global networks and industry experience to meet your needs. Your time in Fiji should be nothing less than ‘superyacht superlative’. Every day, we utilise our intelligence, insight and global coverage to help deliver exactly what you want, exactly where you want it and exactly when you need it. We are Yacht Help Fiji and we define ‘Superyacht Services’ in the Fiji Islands and the South Pacific. Yacht Help Fiji was formed in 1987. Its central focus is to supply professional shore support services to super yachts. The South Pacific yachting scene has grown considerably over the years. To meet this increasing demand we have opened new divisions and steadily expanded our product lines and services to cater for all types and sizes of yachts, Fiji wide. Yacht Help is comprised of the following division’s: super yacht and yacht agency, parts supply, refit and repair, project management, chandlery, chart agency, charter and brokerage services. We provide skilled professionals with all our services. Combined with a wealth of local knowledge and experience we aim to give the highest quality and cost effective services to meet the demands of the growing number and variety of yachts visiting Fiji’s unspoiled and uncrowded waters. Yacht Help’s main office and chandlery is located in Fiji’s newest yacht facility at Port Denarau marina. Our staff operate Fiji wide in any of Fiji’s ports of entry or anchorages. Yacht Help also produces the Fiji Marine Guide. This annual publication provides practical and factual information to yachts about Fiji and its yacht services. Contents include Communications, Marinas, Banking and Shopping, Provisioning, Repair & Maintenance Facilities, Safety & Medical, Transportation, Island resorts, Races & Regattas, Arrival & Departure Clearance Information, Advertisers of services & products, and more. 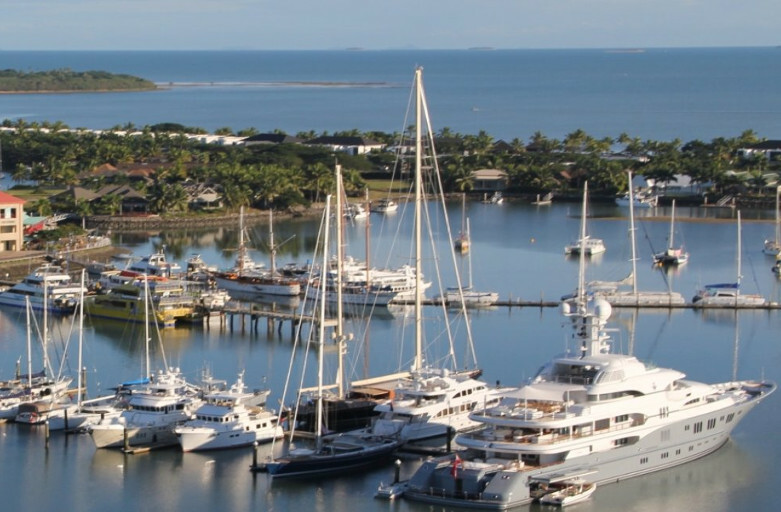 Yacht Help has provided marine support to major film productions taking place in Fiji , and has also acted as a local liaison for these projects.